The geniuses behind the AlphaRevX unlocker, which a few weeks ago made rooting, recovery, and custom ROMs possible on the Droid Incredible S, Desire (CDMA and GSM), Wildfire, and Aria just released an updated beta v2, with support for Droid Incredible 2 (aka vivow, the Verizon CDMA version) and Desire S (aka saga). Incredible 2 owners, it's the day you've been waiting for, which now makes these possible: Exclusive Download + Video: Root-Friendly Flashable Gingerbread Update For HTC Droid Incredible 2 [Leak], [Video] DROID Incredible 2 Bootloader Unlocked [S-OFF] By AlphaRev Team - no more teasing! Update 7/10/11: The Windows version of AlphaRevX, which was pulled for some bug fixing, is now once again available for download. As before, full credit for inception and implementation of AlphaRevX goes to kmdm and ieftm from xda. 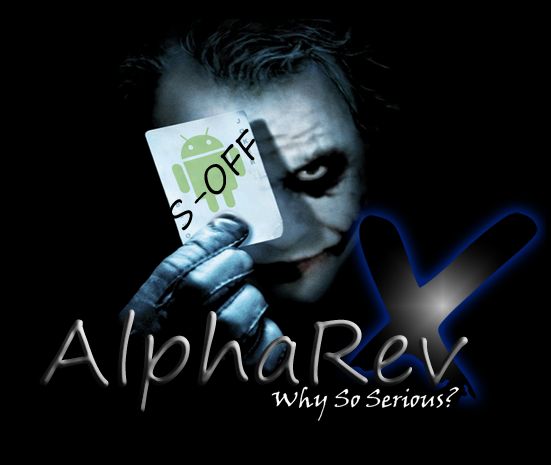 Head over to http://alpharev.nl/x/beta/ and download the software, currently available for Linux and Windows. Note: This is definitely alpha/beta software, so proceed at your own risk. Proceed to this thread after you are done for instructions on how to install su (root) and ClockworkMod recovery, although the rumor is the new version automatically installs recovery. Good luck and feel free to post your experience below!